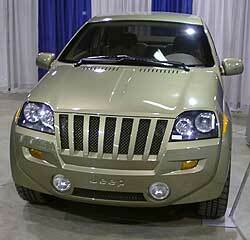 This unitized body SUV sports a 3.5 liter V-6 that develops 300 horsepower. Its P235/55 tires are mounted on 19 inch rims and are driven by a 4 speed automatic transmission with a Selec-Trac transfer case. Curb weight is 3,400 pounds and it has a 9.5 ground clearance. This V-10 powered four door is sure to turn heads taking the kids to baseball practice. 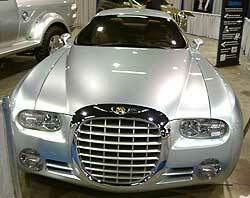 It is powered by a 6 liter 350 horsepower engine. It rests on 245/55 tires with 20 inch rims in the front and 21 inch rims on the rear. It uses a modified Viper front and rear suspension and final drivetrain.